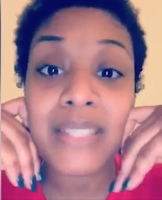 Friday, February 08, 2019- This lady is going viral on social media over her hard hitting message to her fellow women. She tells off lazy women who expect their boyfriends to cater for their bills like it is their responsibility. To those ladies who expect their boyfriends to give them money, she insists they are no different than prostitutes. Ladies, watch and act accordingly.